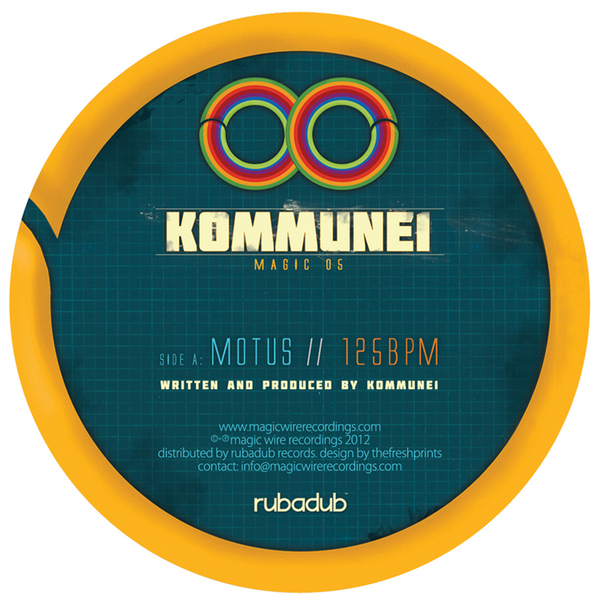 Swinging techno stodge from much-hyped producer Kommunei. He debuts on Lone's Magic Wire label with the stomping, industrial-tinted big room groove 'Motus' on the A-side - replete with lengthy breakdown and crowd noise - while the flipside sprinkles token dub chords on a techno-house roller, the sort you imagine Annie Mac to play on a friday night. Support from all the big fellas - Blawan, Ben UFO, Happa, Pariah.